The 2018-2019 budget has come through with a few positives, items that will be carried through to the new financial year and more. 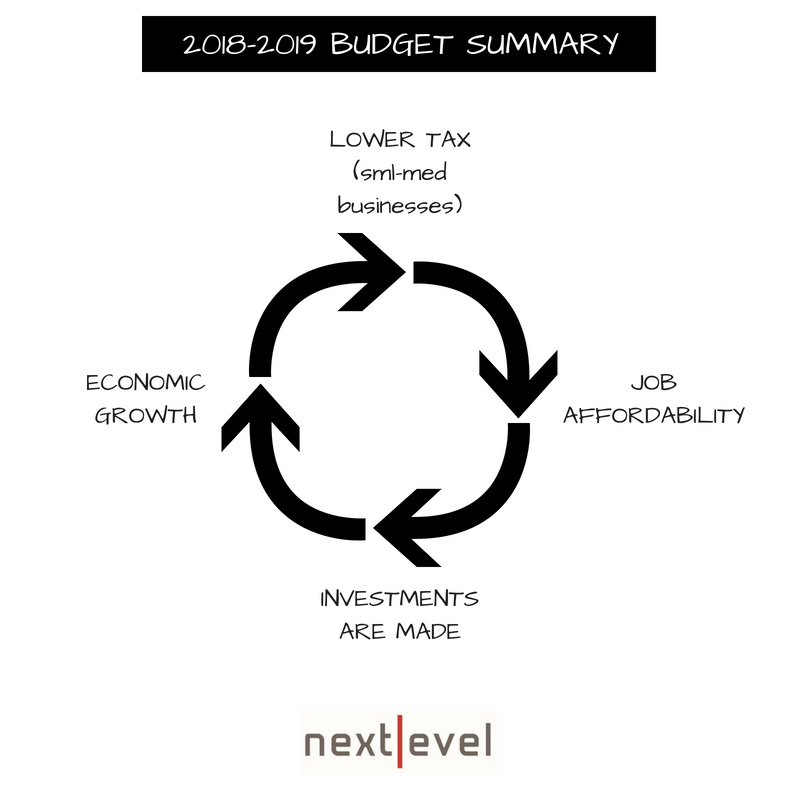 The budget entails a lot of promises for small to large businesses, individuals and the government. · $530 worth of tax savings will be gained by tax payers earning under $80,000 pa.
· For businesses earning under $20 million (most start-up companies) the refundable R&D offset will be the applicable company tax rate plus a premium of 13.5 percentage points. This allows R&D costs to be funded, therefore companies can inject it back into their research and development. · No tax deductions will be made where PAYG is not withheld for example payments where contractors don’t have an ABN. If you require some clarity on the Budget or advice when it comes to small business accounting, then speak to our Geelong accounting team at Next Level Accountants. To read more about the 2018-2019 Budget, click here.